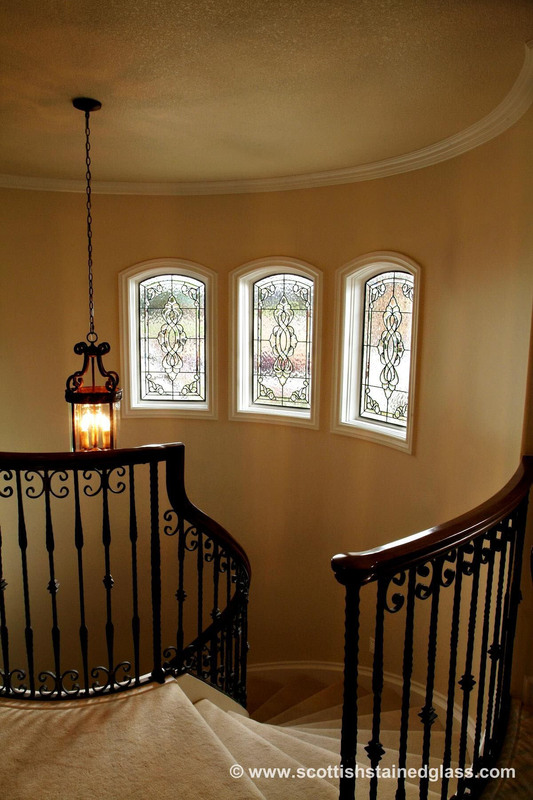 Transoms windows, also known as clerestory windows, are located above other windows, typically high on a wall, and in Dallas, are often stacked one on top of the other in grand entryways, family rooms or living rooms. They can also be located in stairwells, kitchens, and sometimes bedrooms. 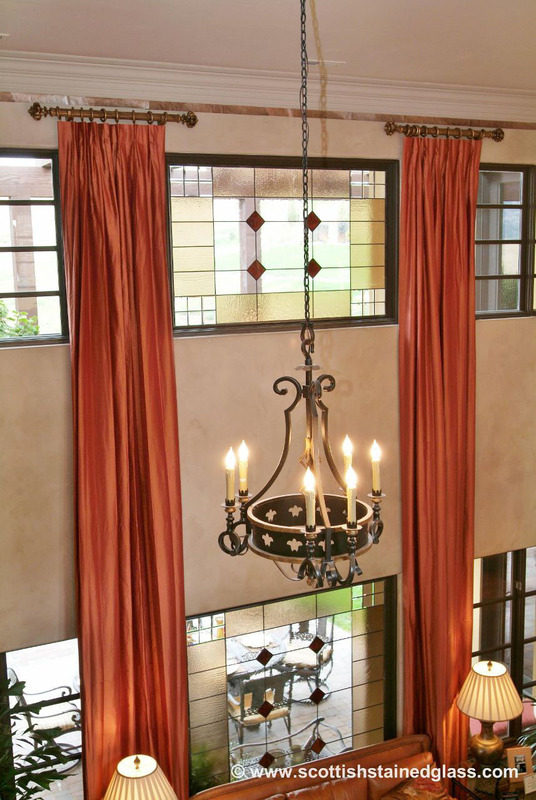 Transoms allow natural light into rooms even when blinds or drapes are drawn. In some cases this is perfect because it provides privacy without restricting natural light. In other cases, the transoms are actually the part of the window that sacrifice privacy, allowing neighbors to see into a room from above. In all cases these transoms can create awkward design issues decorating issues. 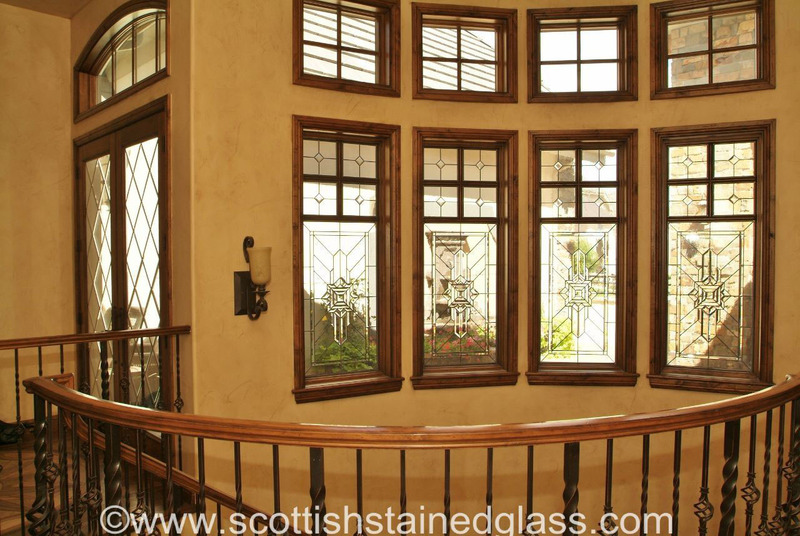 Stained glass in these transoms is an ideal solution that allows natural light to stream into the rooms as was intended, without sacrificing privacy. In certain other cases transoms offer an excellent opportunity to add a design detail without radically altering other design elements in a room. 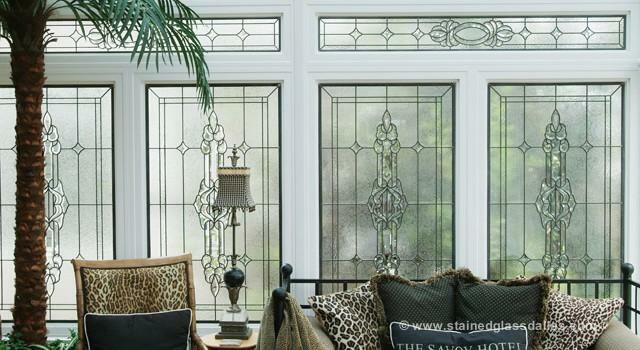 Stained glass transoms can also be applied to sun rooms as demonstrated by the unique picture above. In this type of application the design serves to provide an aesthetic accent a set of windows that would otherwise be somewhat plain and certainly very public to anyone looking into the room. 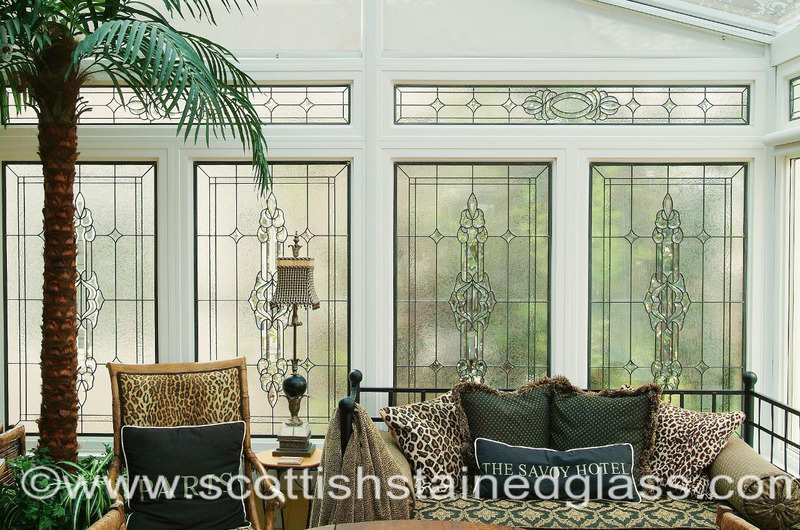 If your home is in the older part of Dallas, Frank Lloyd Wright or Victorian colored transom designs would probably fit your home’s transoms while newer homes often lend themselves to clear textured glass, with Celtic or contemporary designs serving as inspiration. Call us or email us today to schedule your free in home consultation. We look forward to the opportunity to earn your business.